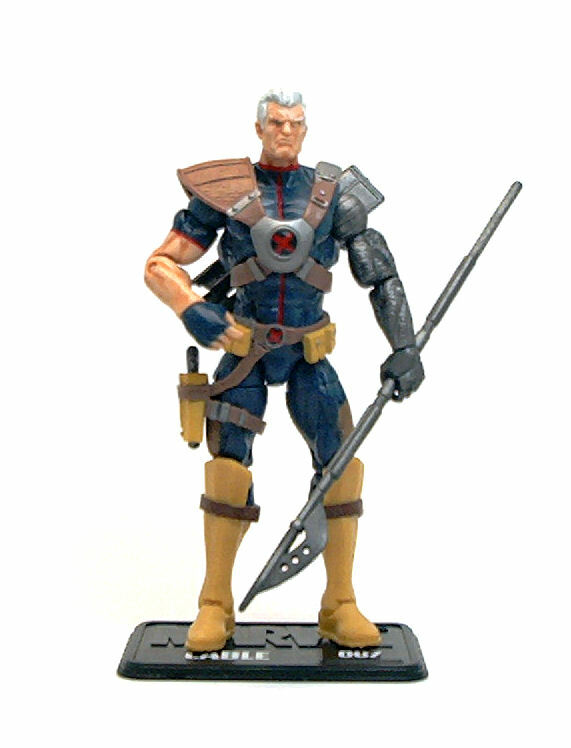 First I must admit that I have been a fan of Cable ever since his appearance in the New Mutants comic. His backstory is rather convoluted, as he is the son of Cyclops and a clone of Jean Grey, sent into the future in the hopes of finding a cure for a fatal disease given him by none other than evolutionist baddie Apocalypse. Of course, once he grows up in the future, he comes back in time and wrecks havoc in the current timeline as the leader of the Wild Pack, then the New Mutants and later on X-Force. I kind of stopped reading his exploits shortly after the termination of the X-Force comic books, but read the Messiah Complex arc years later, when I was catching up with another of my fave Marvel characters, Deadpool. After that, Cable seemed to pick up a baby named Hope and went on the run trying to save her from Apocalypse, as Hope was the first mutant born in the world after the events of the House of M story arc. Why is any of this relevant for this review, you ask? 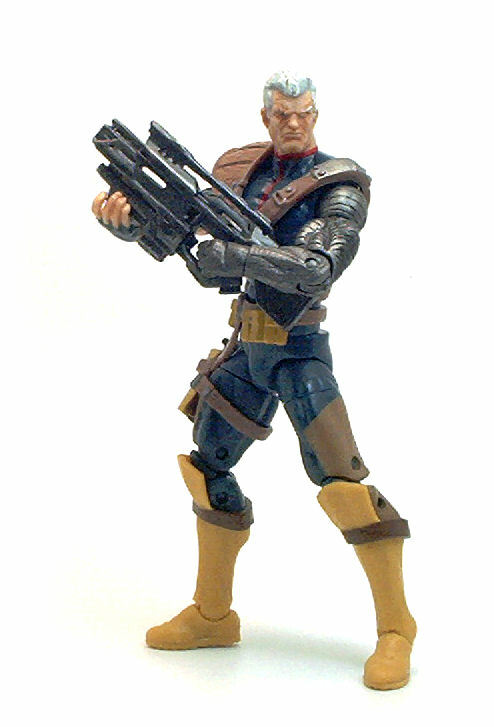 Well, it kind of is because this Cable action figure was originally released with Hope as an accessory, but let us discuss that in a while. 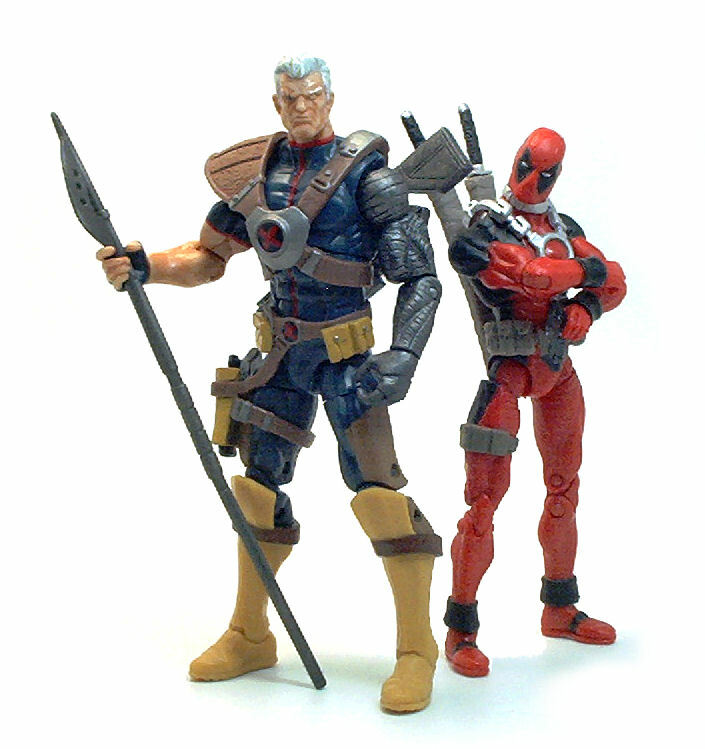 Cable is constructed from a modified tall/muscular male body, with only the head and the entire left arm being newly sculpted pieces. Most of the costume details are either painted on or are separate pieces of rubbery plastic. There are a few issues, though. The face sculpt is downright ugly; even though Cable is not a handsome character, the heavily applied shading wash applied to the face makes him look too haggard and kind of like Popeye. Also, there is a rather conspicuous gap between the torso and the shoulders. On the right side, the gap is covered by the pauldron piece, but on the left side it can be very distracting at times. • Angled, hinged peg ankles. The range of these joints is very good. 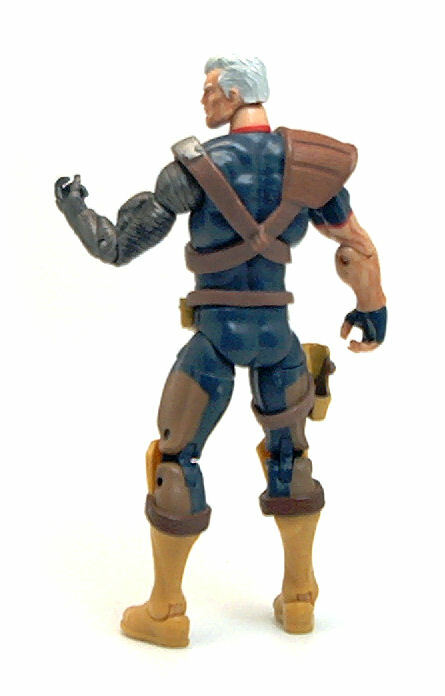 Some of the rubbery pieces of gear do limit somewhat some of them, but as a whole, Cable is among the more articulated figures in this line. Now, Cable was released with variant of the worse kind, an accessory variant. You’ll see, the original release of this figure was as part of the second wave of figures in the Marvel Universe Series 3. 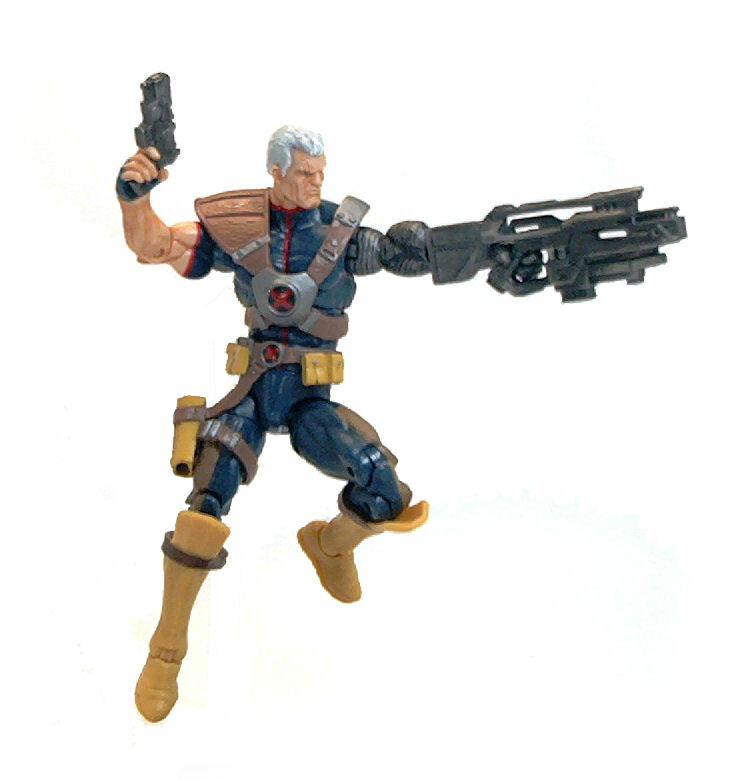 That release had a removable chest plate with a molded baby Hope for Cable to carry around, like any sensible gun-toting single parent would do. 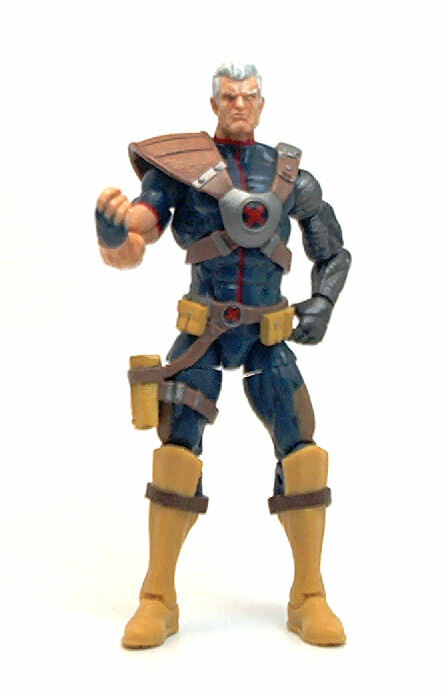 However, in subsequent revision cases Cable became Hope-less, having just the regular X chest piece glued in place. The way Hasbro did this is rather annoying, since the variant, which logic dictates should be the less abundant and perhaps more desirable release, is the one that comes with one less accessory. Then again, the term “variant” can also be relative thanks to Hasbro’s spotty distribution in 2011, as in some places the only figure people ever saw was the Hopeless one, with the other one being the rare chase variant. Thankfully, Cable still has a good number of useful accessories. One is a big pistol that fits nicely into the provided holster; there is also a rather large energy rifle that cable can carry attached to the port molded at the back of his harness for that purpose and a rather short spear/halberd weapon known as a “Psy-mitar”. To round up the package, Cable comes with a black display base with the Marvel logo and his name stenciled in white alongside the numbers 007. 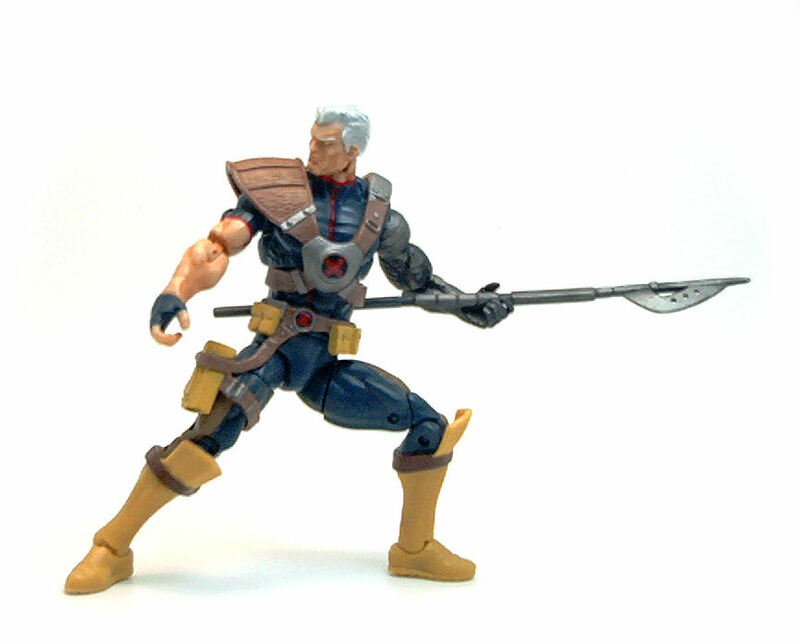 As a whole, Cable turned out to be a pretty good figure. Not a perfect one, but detailed enough to look interesting while still leaving room for minor improvements. The whole variant thig is perhaps the only really annoying aspect, but the figure itself is still a good one to add to a collection. I liked him a lot even though I’m not a fan of the character, but it looked like such a cool improvement in articulation terms that I picked up the Hope-less *heh* version. It’s an awesome design and I’m happy I found the guy. My favorite comic book character of all time, really done justice in the MU line. 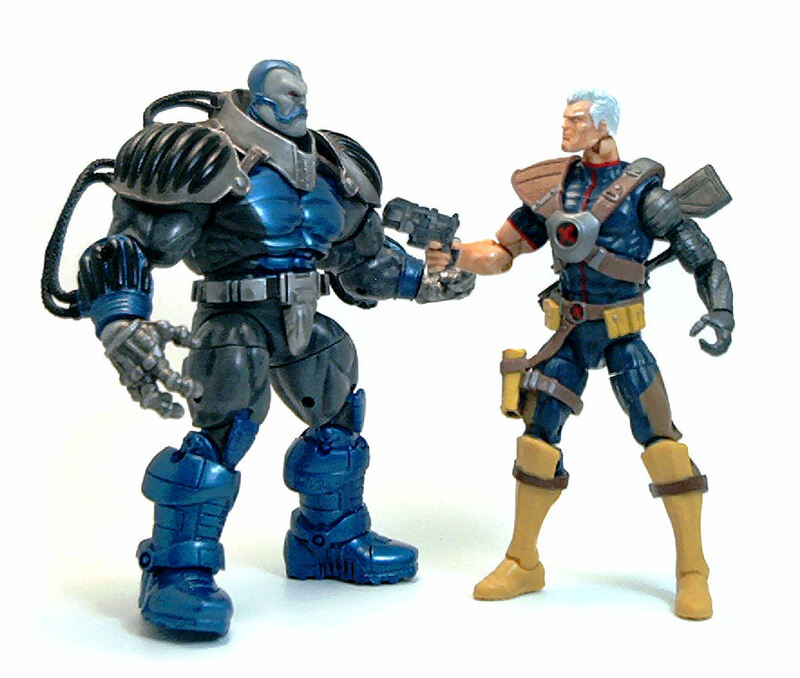 Someday I want to see the head and body reused with new armor and multitudes of pouches for a 90’s era version of Cable as he looked when X-Force #1 launched.